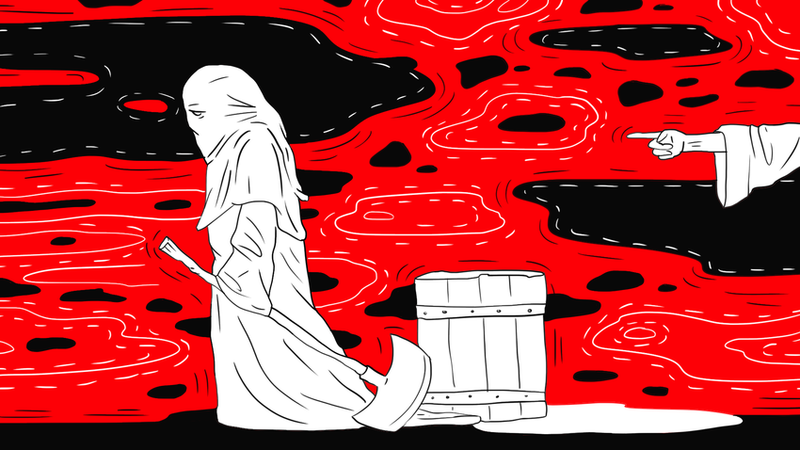 Why doesn’t Russia sentence murderers to death? In today's Russia, no one gets executed, even the most dangerous criminals. Executioners would have been unemployed. For more than 20 years Russia hasn’t once carried out the death penalty. This wasn't always the case in the country's history, to put it mildly. The authorities remained unswayed, and in 1994 the psychopath was executed by firing squad. Chikatilo just missed by two years the chance to benefit from Russia’s moratorium on the death penalty, enacted in 1996 when the country joined the Council of Europe. Ever since then, no one has been sentenced to death in Russia. After the moratorium expired in 2009, Russia decided to continue the ban on executions, and the Constitutional Court officially forbade courts from sentencing people to death. “Returning to death sentences would contradict humanitarian principles,” Vadim Vinogradov, an expert on law at the All-Russian State University of Justice, told RT. Not everyone in Russia supports such a policy, and according to a poll conducted by the Levada Center in 2017, 44 percent of respondents believe the death sentence should again be allowed. Even 2018 presidential candidate Vladimir Zhirinovsky, who is known for his populist agenda, made the resumption of the death penalty part of his platform. Nevertheless, sociologists say that the number of death penalty supporters continues to decrease, and the state is unlikely to change its mind any time soon. Mistakes are inevitable: for example, in 1983, hardened criminal Alexander Kravchenko was executed for a crime that Chikatilo in fact committed. Historically, Russia has known both periods of cruelty and leniency, each succeeding the other, and like everywhere, cruelty has deeper roots. Ivan the Terrible’s legal code (he ruled 1547 – 1584) included the death penalty for theft, murder and robbery. Some executions called for impaling or boiling the guilty alive in water, oil or wine. Ivan was not the cruelest ruler in Europe, however, and even he wrote a letter condemning France on the St. Bartholomew’s Day Massacre in 1572, when around 2,000 Protestants were killed in Paris alone. Elizabeth’s successors tried to avoid the death penalty, but instead relied on punishments that destroyed people’s lives. “Instead of executing, they exiled criminals to hard labor in Siberia, and ruined them by confiscating all their property,” historian Alexander Muzafarov told RT. In the 19th century, with its assassination attempts and revolutionary groups, the death penalty became more widespread: around 300 people were executed between 1805 and 1905. But even more blood would be spilled after the Tsar was removed from power. Even before the two revolutions of 1917, Russia had many executions. From 1905-1913, in an effort to combat attempts to overthrow the monarchy, government courts sent almost 3,000 people to their death. “Although both society and scholars protested against the death penalty during Nicholas II’s reign, his government never prohibited executions in Russia,” historian Oleg Shishov wrote in his work on the death penalty. The Revolution didn’t make things better: both the Provisional Government and then the Bolsheviks, declared the abolition of the death penalty, only later to reinstate it. During the Civil War of 1918 – 1922 “revolutionary tribunals” had the right to execute people without a decision by civil courts, and 6,500 people were sentenced to death in 1920 alone. Later, the USSR preached a more humane position on the death penalty, but mostly on paper. “Formally, the state always approached the death penalty as an exceptional and temporary measure. But it was never abolished, neither in the 1920s nor in the 1930s,” said Shishov. Needless to say, in Stalin’s era executioners were very busy, and according to KGB chief Vladimir Kryuchkov, 768,000 people were sentenced to death from 1930 to 1953. After Stalin’s demise, the Great Terror ended, but courts continued to hand down the death penalty. For instance, 13,000 people were sentenced to death from 1961 to 1984. Amid this grim reality, Yeltsin’s moratorium was a big step for progress. And that decision is unlikely to change any time soon. This article is part of the "Why Russia…?" series in which RBTH answers popular questions about Russia.